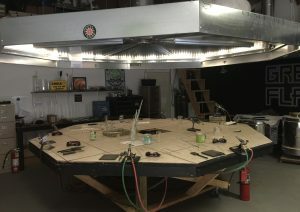 At Magnolia Glass Studio, artists can rent space at our 8 sided table. We provide torch and tools. Glass is available for purchase. $30 for a 4 hour block. $20 if you bring your own torch and tools. COCA’s conference room is the perfect location for your next meeting. 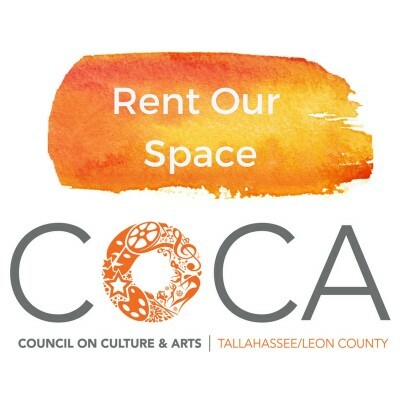 Reasonably priced, sunlit and comfortable, the COCA second floor conference room will accommodate 75 people theatre style, 99 people reception style, and 40 people banquet or classroom style. There are accessible restrooms, a full kitchen, a lobby, and outdoor balcony. Please contact Nick at nick@tallahasseearts.org or 850-224-2500 to check the availability of your date and to make your reservation.